Although the Apple iPhone 6 is quite new, rumors have been flying about iPhone 7. Fans and analysts are clamoring to know what the iPhone 7 will bring to the table. 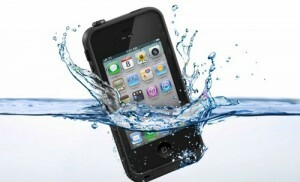 Some think that the new device will be waterproof and solar-powered. Currently, it’s unknown whether the smartphone will see release in 2015 or 2016, thefusejoplin.com writes. That hasn’t stopped Android fans from feeding the rumor mill, and some interesting rumors have come from various sources. Most of these rumors are intriguing, so let’s take a quick look at some of the most common rumors flying around right now. Most flagship Android devices are waterproof or water-resistant to some degree. However, Apple has never implemented such a feature on its iconic smartphone. Analysts expect the company to make the iPhone 7 waterproof after the iPhone 6 was released without this added layer of protection. A waterproof device would allow users to handle their smartphones in the rain or other wet conditions without worries. Of course, consumers would buy the device in droves if it comes with added durability like this. No smartphones have implemented solar power into their designs. Doing so isn’t cost-effective, and the technology isn’t there yet. Then again, this rumor describes an iPhone 7 that improves its battery life by utilizing solar power. Such an add-on wouldn’t let the device completely recharge itself, but it would give the smartphone some extra juice. Since Apple customers are used to paying a premium for their devices, this rumor only seems out there because of the actual idea rather than its price. Unfortunately, a horrifying rumor surrounding the iPhone 7 states that the device will ship with the A8 processor. That’s the same processor found on current iPhone models, and consumers won’t like that. The processor packs a powerful punch, especially for graphics, but consumers expect improvements with each generation. Apple might keep the A8 for the iPhone 6S models, but it’s hard to imagine that the company won’t unveil the A9 chip for the next generation of devices. A major complain of the current iPhones revolve around their available 1GB of RAM. Most Android devices feature 2GB to 4GB of RAM, so Apple needs to catch up. According to the rumor mill, 2GB of RAM will be implemented into the iPhone 7, but this could hit the iPhone 6S beforehand. More RAM can only help iOS 8 and its future editions. The fact of the matter is that iPhones could benefit from more RAM because they’ll be able to multitask better than before, which is essential for some smartphone users. Will An iPhone 6S Come Before The iPhone 7? In the end, many of these rumored features for the iPhone 7 might actually come in the form of the iPhone 6S. Apple hasn’t released details about the “S” upgrade to the iPhone 6 and 6 Plus, though. Such upgrade models have been implemented for multiple generations now, though. For that reason, Apple fans shouldn’t expect an iPhone 7 until 2016 at the earliest. A desire to better compete with Android devices could lead Apple to changing plans and releasing the smartphone in 2015, but only Apple knows if that’s the case.